The Moreland School District has streamlined their parent communication and student information system to create a more user-friendly experience for families and staff members. The Aeries Parent/Student Portal will now be the “one-stop shop” for online registration, middle school grades/assignments, and communication for students, parents, teachers, schools and the District. What is Aeries Parent Portal? The Aeries Parent Portal allows parents to view information that the District has on file for their student(s), such as emergency contact information, attendance, annual district documents traditionally available in the 1st Day Packet, and optional documents regarding food services, transportation, student accident insurance and more. Parents of middle school students can view their student's schedule, assignments and grades. Aeries Communication tools are also available through the Aeries Parent Portal, allowing parents to select how they would like to receive school and district notifications, select language preferences, and the ability to Direct Message Moreland staff members. How Do I Sign Up for Aeries Parent Portal? On August 1, 2018, Aeries Parent Portal sent an automatic email to all current families with an email account on file. This email provides instructions for parents to sign-up with Parent Portal (be sure to double check your spam folder if the email is not in your inbox). If you did not receive an email to join the Parent Portal, please stop by or call your student's school office to confirm your email address on file. The Aeries Parent Portal will automatically send out an invitation email to the corrected/updated email address. How do I enter, change or update my student/family CONTACT INFORMATION? 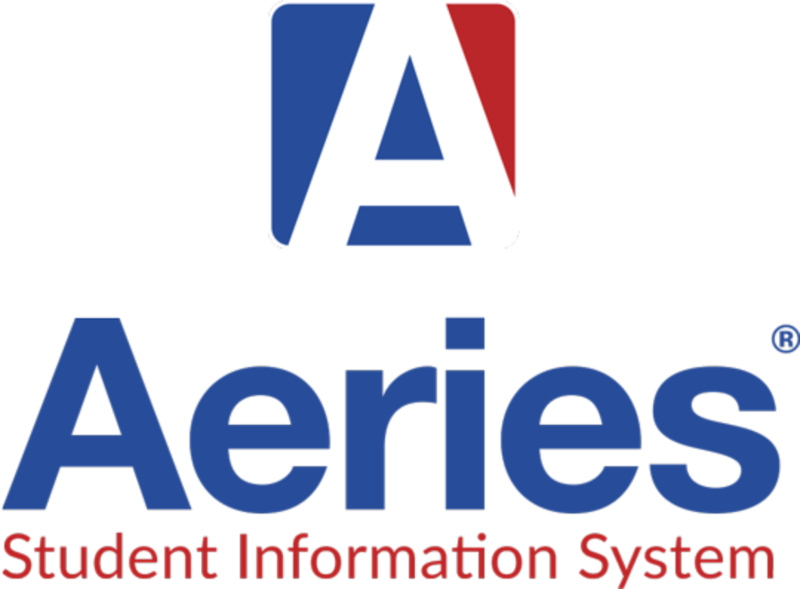 Each year, parents/guardians of both new and returning students are required to either register or update information in the Aeries SIS (Student Information System) Parent Portal. Parents/guardians can access the Aeries Parent Portal by clicking on the link listed on both the home page and in the News & Resources section on www.moreland.org. In order to ensure the security and accuracy of student/family data, this is the only location in Aeries where changes to contact information can be made. I have more than one child that attends different schools in the District; do I have to create multiple accounts? No. This is a one-time process. If you have another child that enters the District (for example a Kindergarten student), you will be able to add them to your existing account. Please note though - you will need to complete the Data Confirmation process for your account at the beginning of each school year. What if I’m having problems logging into the Aeries Parent Portal? If problems persist, please contact your child's school office for assistance. One you are logged into the Aeries Parent Portal, click on Communications. Communicate on a secure and accountable platform via Direct Message with your student's teachers. How do I select my notification preferences for Aeries Communications announcements from the district? Once in Aeries, click on Communications. Click on your personal profile avatar: it is the circle with your initials in it. You also have the option of selecting your own photo for your avatar. Click on Notifications. Check and uncheck boxes to indicate how you would like to receive each type of announcement from the school district. Emergency Announcements will automatically be sent in all formats. What is the Personal Info section for? Enter and edit how your name is displayed. Add additional phone numbers for notifications. Select the Preferred Language for your announcements. Aeries Communications announcements can be automatically translated from English into numerous other languages. Translated messages will always have a “caption icon” pictured next to them, which you can click on to see the original English version. What is the Feed Manager section for? Your "Feed" is a chronological timeline of announcements from all schools, classes and groups you are following. You can filter your feed down to a specific school, class or group by clicking on it within your navigation panel. What is the icon with three dots and three bars? This is the Feed icon. Click here to see all District announcements you have received. These are the same announcements you receive via your notification preferences of email, text and/or phone call. What is the conversation bubble icon? Click here to communicate via Direct Message with your student's teachers. Direct Messages are "two-way conversations" between members. A direct message will send to email or SMS text message after five minutes if it is not viewed within the app. Any member can send messages in his/her preferred language and the message will instantly translate it for the recipient. Communications via direct message provide a secure platform to ask and answer questions and to share information among members. NOTE: THERE IS A QUESTION MARK ICON AT THE TOP RIGHT OF THE SCREEN IN AERIES COMMUNICATIONS TO ACCESS THE SUPPORT CENTER FOR ADDITIONAL ASSISTANCE. Contact your school office if you are having trouble logging in.